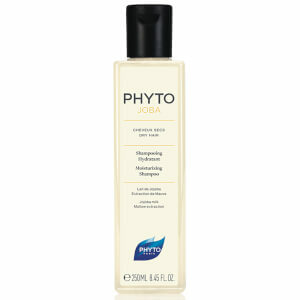 Phytopanama is recommended to gently cleanse oily hair as often as required. It regulates excessive sebum production without causing reactional hyperseborrhea. The hair is revitalized and supple. 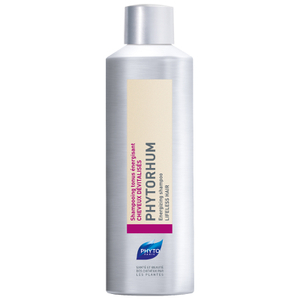 This shampoo's mild cleansing power is gentle to the texture of the hair and maintains a healthy balance. Gently cleanses and regulates sebum production. Purifies and balances the scalp. Recommended for all hair types, especially for those with a slightly oily scalp. Wet hair, pour capful of shampoo onto scalp and very gently massage hair into lather. Rinse. Shampoo a second time, leave on 3-4 minutes. Rinse well. May be used every day. Quillaja Saponaria Bark Extract (Bois De Panama), Disodium Laureth Sulfosuccinate, Sodium Lauroyl Sarcosinate, Disodium Cocoamphodiacetate (Dérivés D'huile De Coco), Disodium Ricinoleamido Mea-Sulfosuccinate (Dérivé D'huile De Ricin), Cocamidopropyl Betaine, Potassium Undecylenoyl Hydrolyzed Soy Protein (Dérivé D'huile De Ricin), Peg-150 Distearate, Ppg-9 Diethylmonium Chloride, Juniperus Communis Fruit Oil (Baie De Genièvre), Fragrance / Parfum, Propylene Glycol, Phenoxyethanol, Parabens (Ethyl, Butyl), Methylchloroisothiazolinone, Methylisothiazolinone, Citric Acid.